Governor Wolf yesterday sent the letter below to Senator Scarnati and Speaker Turzai asking them to call the legislature back into session to complete its unfinished work on the budget. In his letter, Governor Wolf reminded the leaders that last week, both chambers left the Capitol for a holiday vacation without sending the bipartisan budget agreement and accompanying code bills to the governor’s desk, and instead passed an irresponsible budget that cut funding to schools by $95 million. The Republican leaders need to get the legislature back to work and pass the compromise budget that actually adds up and fully funds our schools. 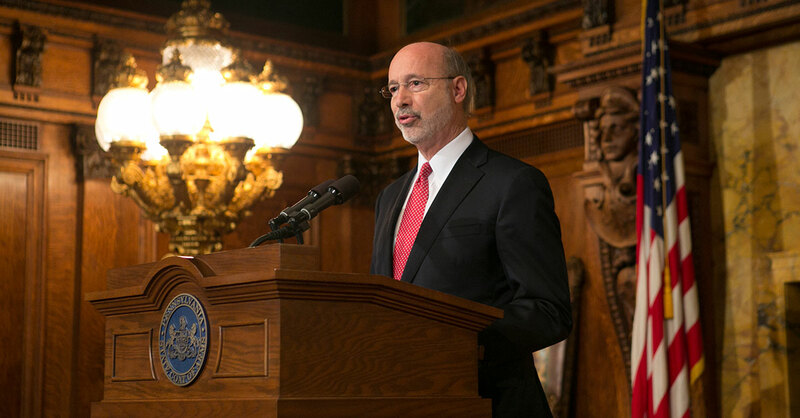 Watch Governor Wolf’s remarks on rejecting the Republican plan to cut education (and read the transcript of the remarks).